The main ingredient of cotton fiber is cellulose, which is a compound of carbon, hydrogen and oxygen and it occupies almost 90% of the total weight. The remaining is comprises by moisture, wax, fats, ashes and pigment etc. Wax adheres to the surface of cotton fiber in a thin film-like state and it plays the role of protecting the fibers. Due to this water protective effect, even after putting cotton in water (same in case of cotton yarn, fabric also) it does not get wet immediately. The wax melts at around 70°F and it gives a lubrication characteristic to the fiber surface. Therefore, in the spinning process, it helps to slide the fiber, while drafting or attenuating. If the temperature in spinning process is not retained to more than 70°F, it causes spoiling of the condition of spinning. If the cotton fiber is immersed in Caustic soda concentrate, the fiber inflates and the natural strands are lost and the length gets compressed. If the cotton is immersed in a stretched condition, which would not allow compression, it turns to a lustrous fiber. The fiber, which undergoes this process, is termed as Mercerized cotton or silket. In order to grade the quality of raw cotton, the rating is done according to the level of the length, fineness, strength, color matching, luster, natural strands and impurities in the fiber. These are divided in different ways according to the production land. The trade market price of American cotton takes Middling, which is at the center of grading stages, as the standard and it is shown in the units of how many cents and how many points (1 point is 1/100 or 1 cent) for 1lb. About the objects of other grades than Middling, the price increase in how many cents from the Middling or the price decrease in how many cents from its decided in advance. In the Japanese domestic market, the New York marker price is taken as standard. To it, the land transportation fare till the ship loading, miscellaneous expenses, marine transportation fare, marine insurance etc. are added and the price of Japan post landing is calculated in American currency. Then the buying is done at the market price in cents till delivery up to Japan shore (CIF). This is converted to Yen and the landing expenses from the ship, the expenses required for customs clearance (import tax is free), transportation charges up to the factory, insurance amount, commission on imported goods are added to it. Thus the price of amount of Yens till factory delivery is calculated. 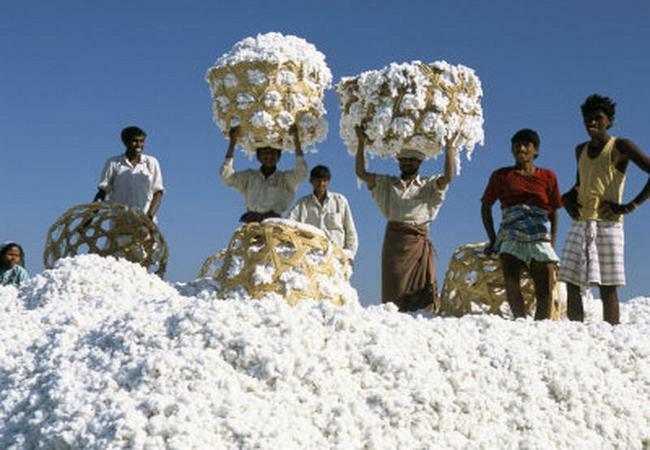 Regarding other raw cotton other than America cotton also, similarly various expenses are added to the production land market cost (for example, the Bombay market price in case of Indian cotton or Pakistan cotton) and the Japanese domestic market price is calculated.